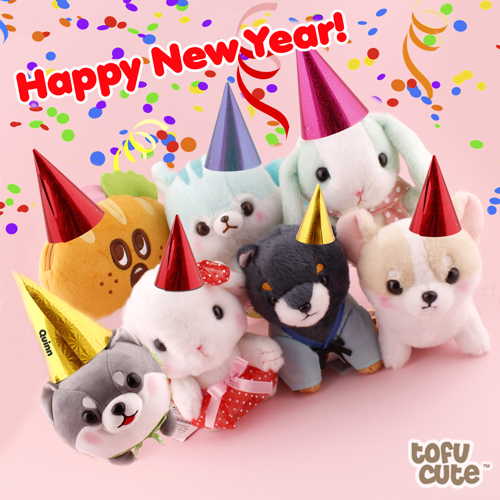 Cure those January Blues & Start 2019 Right With Tofu Cute! It's January, and like many other people, you may have a serious case of the dreaded 'January Blues', where the mundane slog of normal life seems boring compared to the festivities of the holiday season. Luckily for you, you've arrived at Tofu Cute, where cute & charming things that make people happy is our exact speciality - all year round! Here's five amazing things you could get to perk yourself up for the new year and start off 2019 right! You know that we've preached the magic of FLANS a lot already. We reviewed the (now unavailable) original series and talked about how charming it is. We even dedicated a big competition to you designing your own FLANS, one of our most successful competitions ever. 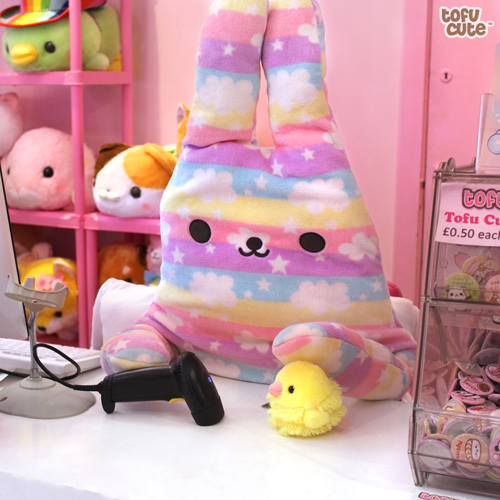 At HYPER JAPAN in October 2018 we made available the new kind of Rainbow FLAN, and added them back online when we returned - they've sold tremendously well so far, and everyone who owns a FLAN loves them! We've recently re-stocked the remainder of the rainbow FLANS on our online shop - if you're quick, you can get your very own! 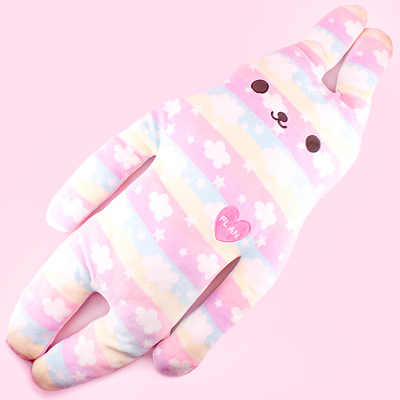 These long, 'huggable' plush with a vacant stare will give you a unique conversation starter with anyone who sees it! 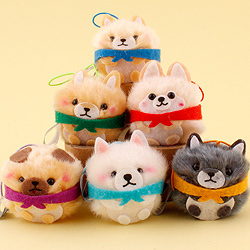 FLANS are very relaxed, and you'll find that owning one will make you more relaxed, too. 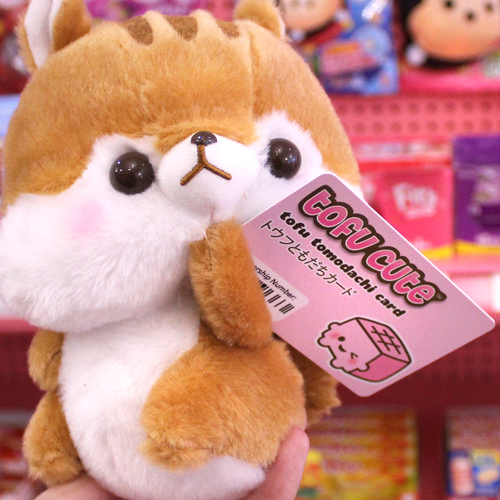 Get yourself a Tomodachi Card! 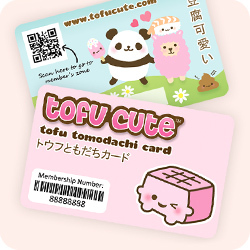 If there's one thing we're certain a Tofu Cute fan will need for the rest of January, it's a Tomodachi card. If you aren't already part of our exclusive club, you can join all year round for a single payment of £1. This astoundingly pink loyalty card will give you access to all sorts of perks, including points for every pound you spend (which can be exchanged for super-cute prizes!). It'll also give you a small but valuable discount on almost all of our products! Hooray! If you spent 2018 without a tomodachi card, 2019 is the year to get on board. This month is Tomodachi month, so we're offering all kinds of extra tomodachi deals for card holders in the rest of January. In 2019, we're planning to improve & streamline the tomodachi experience for everyone, but it's still a fantastic deal right now! What are you waiting for? 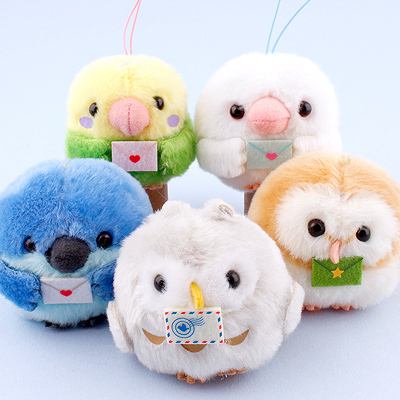 Give the gift of Kotoritai! 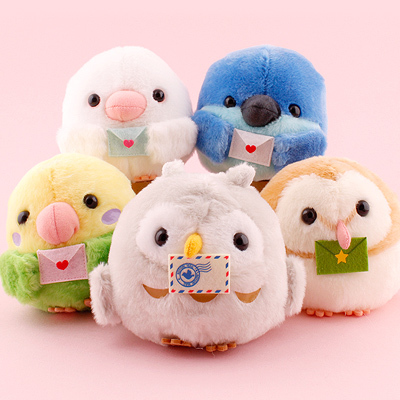 We've just added some amazing new Birds With Letters from the AMUSE Kotoritai series! 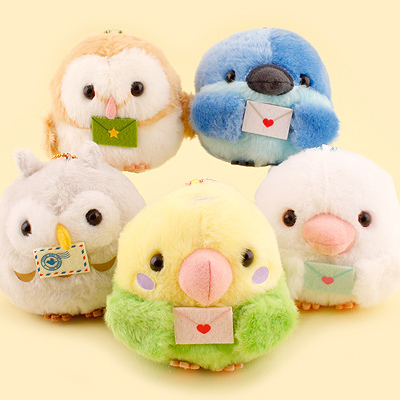 These new birds are holding precious letters, and look really cute doing it! 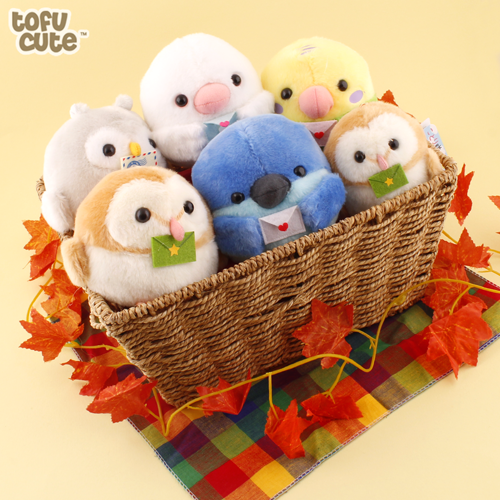 As part of a celebration of Kotoritai's birthday, these cute new birds are available with an introductory discount of 10% off for their first weekend! We think these birds would make a great gift, and look excellent as an accessory for a greetings card - they're the perfect way to send someone an adorable message! If you've got someone's birthday in January that you need to buy for, or if you just want to be prepared for Valentine's day, these birds are a great place to start. Giving gifts feels good, right? 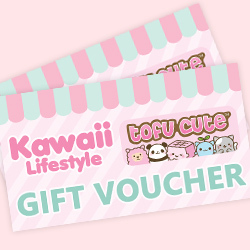 Giving the gift of Kotoritai is a great way to start 2019! Indulge in Delicious Japanese Snacks! Maybe you want to get in perfect shape for 2019, or eat more healthily - it's an admirable goal, and we respect it - but surely you can treat yourself in January, right? 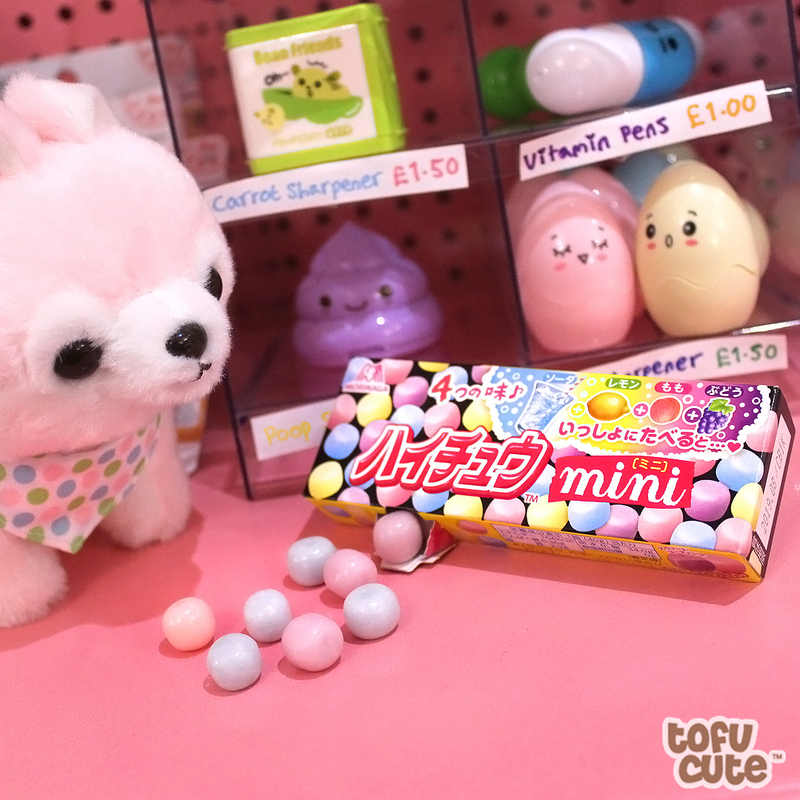 If you're feeling hungry for something unique, or just want to find something new to reward yourself with, then Tofu Cute's got you covered with a huge range of Japanese candy, biscuits and chocolate. Our selection of Japanese snacks is great at the moment, but it's going to get even bigger and better in 2019! 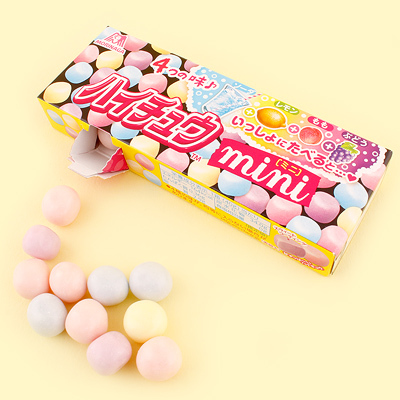 One of my personal favourite snacks is the Hi-Chew Mini Pellets box which we made available at the end of last year - this treat sized box contains a delicious serving of small & delicious Hi-Chew chewy candy pellets in some excellent flavours like lemon, peach & soda! This is a great snack for giving yourself some small rewards for completing your new years resolutions goals & developing good habits! But if chewy sweets aren't your thing, then we've always got plenty more - classics like Pocky, Hello Panda & Kinoko No Yama aren't going anywhere (unless you eat them all)! 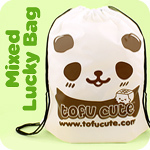 Treat Yourself to a Lucky Bag! If you want my personal advice, the best way to start 2019 is with one of our awesome Lucky Bags. Sure, I'm biased. But if you want to be adventurous & try new things in 2019, one of our lucky bags is the best place to start! 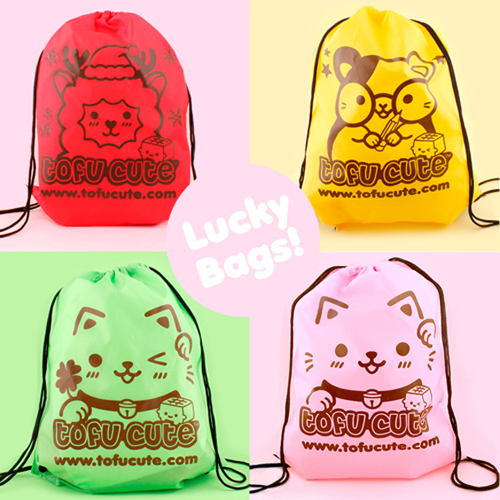 If you're new to the world of kawaii culture, or even if you've been living a kawaii life for a long time, our lucky bags always give surprises! 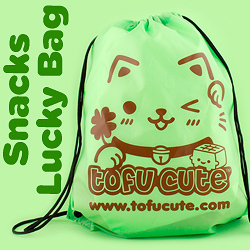 There's a lot of different options with our lucky bags - you can get one that's full of snacks, one that's full of AMUSE plushies, or one that's full of both! We even have Stationery Lucky Bags for those of you who want to get a bit more organised! Finally, with all of the snack bags, there's options to make them vegetarian friendly! 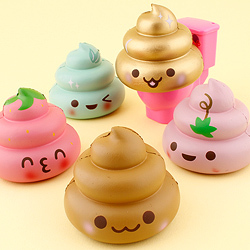 Don't get caught up in the January blues - embrace the kawaii lifestyle and make sure you're happy. You don't need to get any of these products to start your year off right - you just need the right attitude! Love the things you love, have fun and be kind to others - that's all we could ask for! January Snacks Review - Which is best? 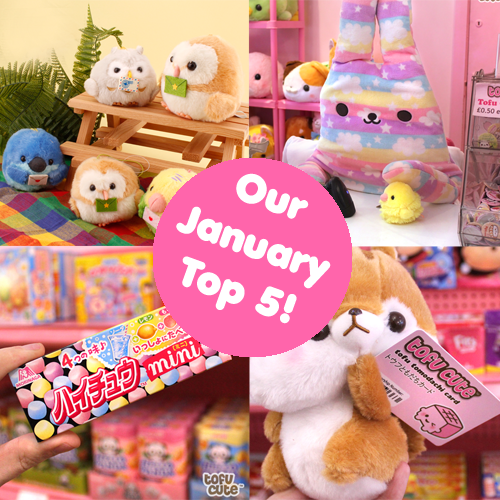 Next Article >> January Snacks Review - Which is best?